In her opening remarks, Ms Greeja Hemalata De Silva, the Director of VU Undergraduate Programme, expressed her joy to officiate the seminar and welcomed the guest of honour, Dr Hendry, Head of VU MBA at Sunway College. 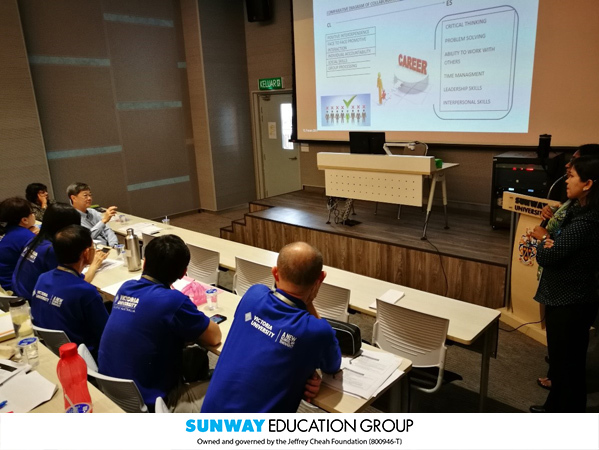 The first team which started off the presentation was led by Dr Jason and they talked about perception on quality of a twinning programme. Each team was given 15-30 minutes for presentation and 15 minutes for Q&A. There were in total 10 presentations delivered in this seminar. 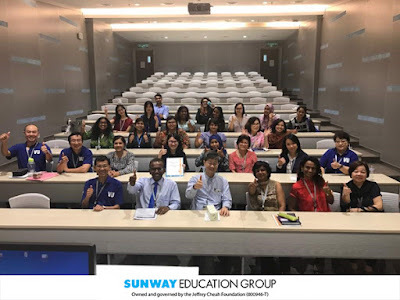 The topics covered were relevant to education, marketing, accounting and finance. The Q&A session after each presentation encouraged the sharing of knowledge by both presenter and audience. The staff also had the opportunity to participate in insight provoking discussion and exchanged ideas with colleagues. In her closing speech, Ms Greeja expressed her appreciation to Dr Henry for sparing time from his busy schedule to attend this seminar and she also thanked the coordinator of Teaching & Learning committee Ms Soon Pei Shan for organising the seminar. 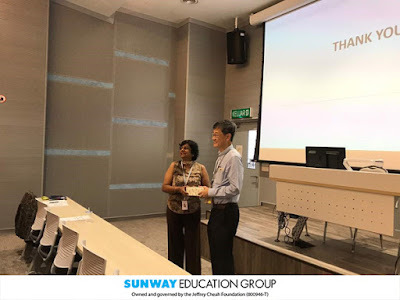 After receiving the token of appreciation from Ms Greeja, Dr Henry congratulated the organising committee and all the presenters for their hard work and interesting studies. He encouraged the presented proposals to be submitted to Pre-U Conference which will be held next year.